What used to be a Police Gymnasium, survived a fire, has housed both live performances and projected films, and came out on top after a fight with Massachusetts blue laws in 1955? Program from the first show at the Brattle in May of 1890. Photo by Steph Pixley. Surprisingly, the unassuming Brattle Theater in Cambridge and the Greater Boston area. Originally established as a social union hall and live performance theater in 1890, the hall was transformed in 1953 with the installation of a rear screen projection system, permanently converting the Brattle into a destination for film lovers in Cambridge. Even in the early days of the theater, the goal of the Brattle was not to simply entertain the masses. Instead, the early founders were influenced by the European model of art house cinema, and dedicated the theater’s programming to educate and inspire, as well as entertain. While this mission was probably unintentional in the beginning (the theater was originally founded by Harvard acting club rejects), these days the mission has taken on a more purposeful direction under the guise of the Brattle Film Foundation. Founded as a nonprofit 15 years ago, the Foundation has promised to provide something other than just another place to watch the latest blockbuster. Instead, the Foundation has created a community of active filmgoers by curating programming that teaches, engages, and enriches its audience. Original posters from the Brattle Theater archives. As part of its 15-year celebration, the Foundation opened up its archives to give the neighborhood a glimpse into its varied history. 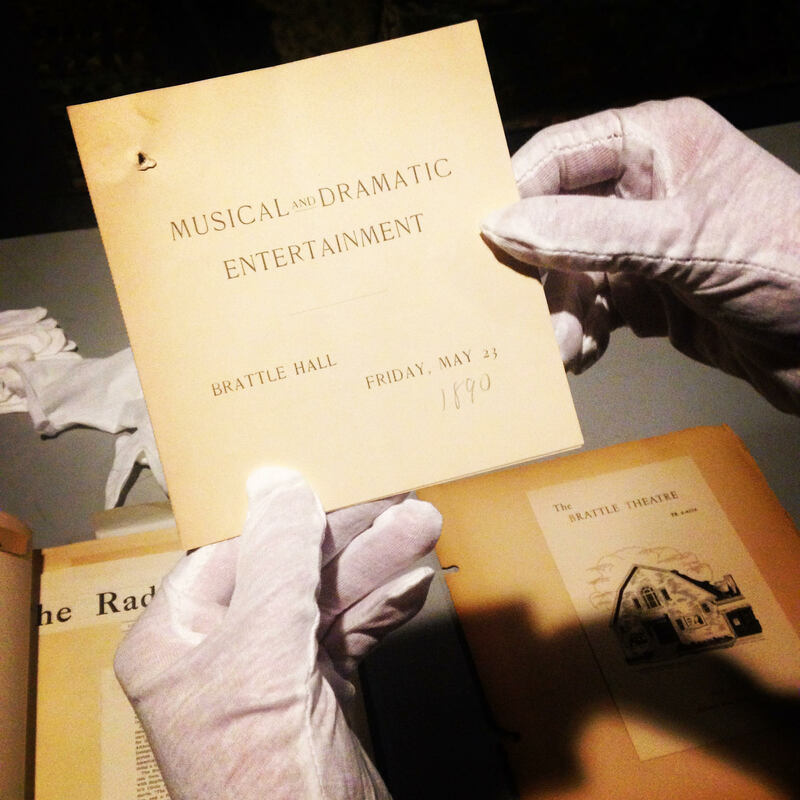 The various owners over the years have maintained an extensive collection of monthly screening calendars, newspaper clippings, and programs, dating back to the first play performed in the Brattle in May of 1890. 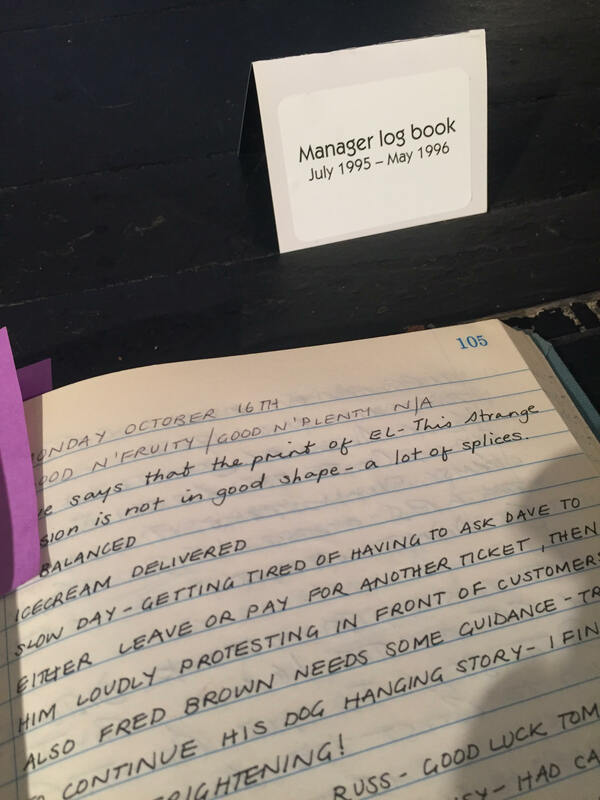 Brattle Theater manager log book, July 1995 – May 1996. 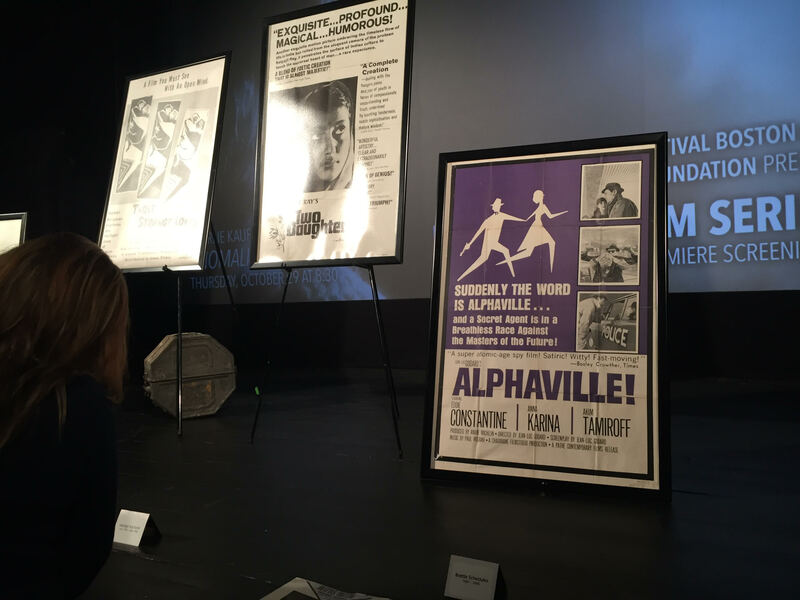 Two versions of their original sign, original movie posters (my particular favorite was the brightly colored poster from Visconti’s 1967 film “The Stranger”), and even an exhibit of the different types of film that are (and used to be) delivered to the Brattle over the years were on display. Small groups were even given tours of the projection room, one of the only rear-screen projection booths still in operation in the United States. 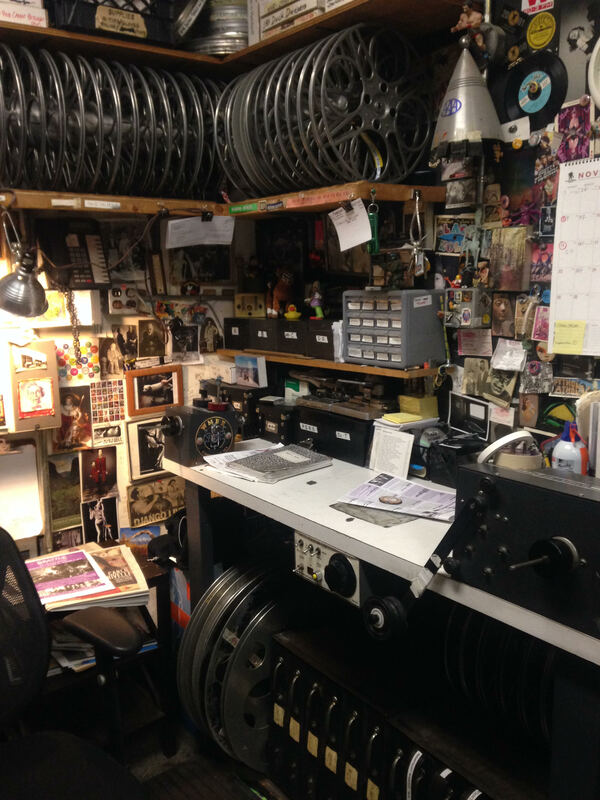 Brattle Theater projection room. Photo by Steph Pixley. 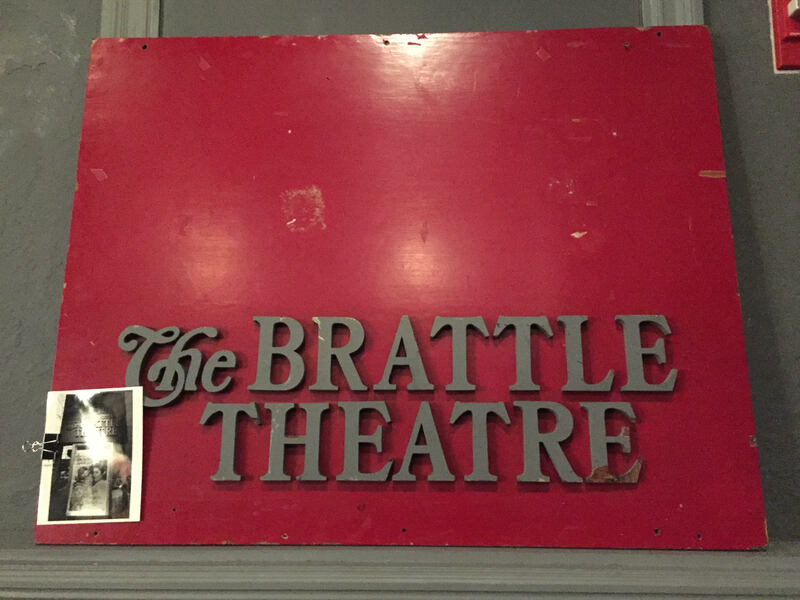 What was missing from the archives was just as interesting, however: After an unfortunate bankruptcy the Brattle passed hands to new owners who took little interest in preserving programs, posters, and the like. In fact, the late 1960s through the early 1980s are referred to as the “lost years” in the Brattle archives. Reassuringly, Ned Hinkle, the Creative Director of the Brattle, has expressed interest in an archival investigation into these missing years. …A project for local archivists and film buffs, perhaps? !